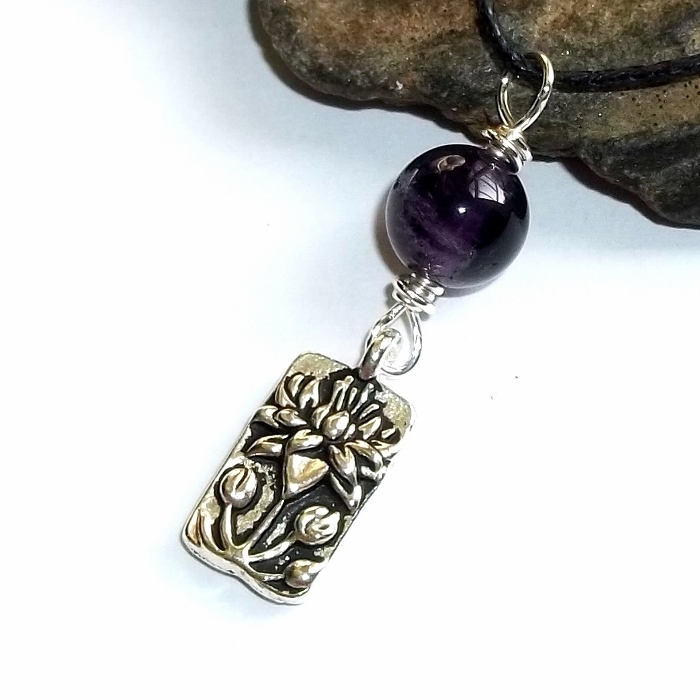 A Lotus Blossom charm necklace with a deep grape purple amethyst gemstone set on a sliding knot cotton cord. Amethyst is a gemstone of protection, purification, and release from addictions. 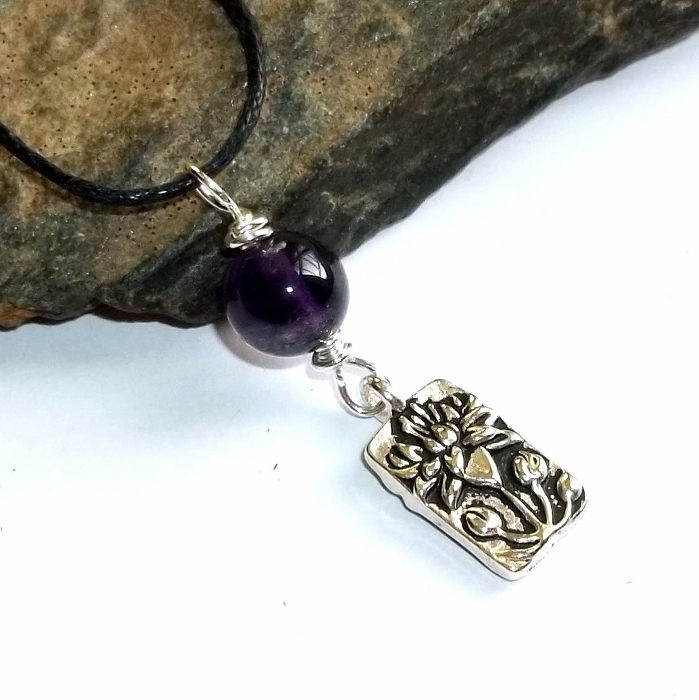 Amethyst helps with meditation, sleep disorders, and balancing the nervous system and brain. Amethyst is the February birthstone. 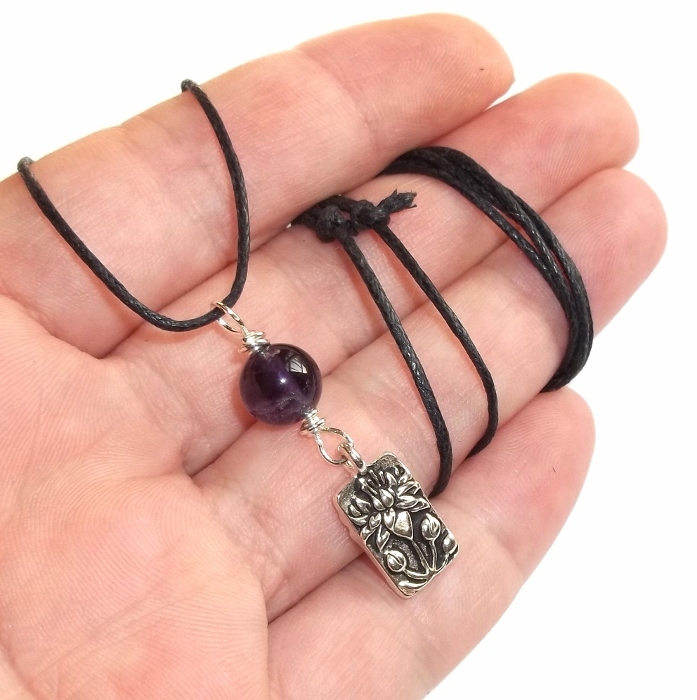 Lotus charms are fully reversible made of lead-free pewter, 16 mm x 8 mm. Amethyst gemstone is a smooth 8 mm round. 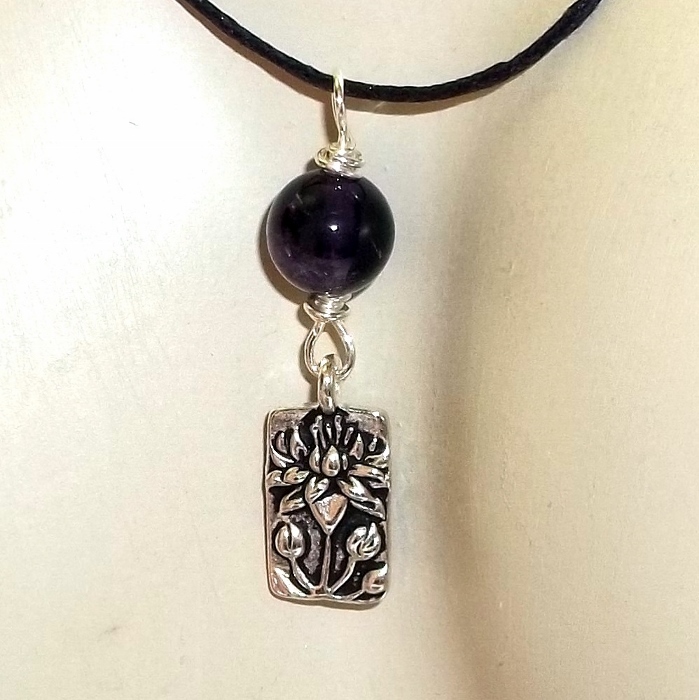 Pendant is wire wrapped in sterling silver and the sliding knot cord makes the necklace adjustable up to about 32 inches.